With the combo of the faster Internet connectivity and Android device, users will be able to watch those lazy-tubes anytime, anywhere without any need to pay for a TV-subscription or any other kind of streaming service. These TV apps are completely entertainment-ready, no matter whether you are waiting for the bus, stuck traveling or simply want to watch catch an episode on the go, these amazing apps will turn your Android into TV in no time. With this in mind let us move on to some of the best-of-the-breeds Android TV apps, so that you can enjoy your favorite show, movie, ball game etc., wherever you are. LiveNow is a stunning TV app that can be availed if you opt to Hire Android Programmers as this app runs seamlessly across any Smartphone or tablet. The app is lauded by its users for the stability and reliability it provides to them. Since, customers hate when they have to re-start an episode after an app crashes down or respond in a rag-tag manner. LiveNow! Is the perfect entertainment app to watch live TV on Android. It also provides an array of channels with high-definition technology for a delightful TV watching experience. Plus, it also gives you the facility to record your favorite TV shows, so that you can watch them later as per your convenience. 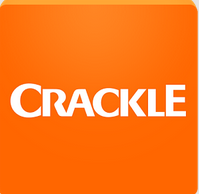 Crackle is a stunning Android app developed only to offer entertainment and fun to its users. The app is an easier way to watch movies and TV shows for free on your Android Smartphone and tablet device. This award-winning app has already registered 25 million downloads and has been honored with a range of awards including Webby Award, nomination for Emmy Award and so on. Some of its popular shows include, Seinfeld, The Shield, Damages, Blue Mountain State, The Jackie Chan Adventures, Sanford and Son, Spider-Man and many more. And hundreds of hit films such as Step Brothers, Pineapple Express, Drive, Resident Evil: Afterlife, Talladega Nights, Bad Boys, Men in Black, The Rum Diary, etc., are also supported by the app. SPB TV is basically a multi-platform app that lets you watch all your favorite shows for absolutely free of cost. Featuring around more than 120 channels, SPB is an app praised for its simplicity of features without compromising on the entertainment quality. The app also allows you set the streaming level from high to low or vice versa. A uniqueness of SPB TV app lies in its ability of providing video on-demand TV shows. Other highlighting features include an extensive range of public channels, channel previews, channel switching, picture in picture mode, on-screen controls and more. If you are a follower of Discovery Channel and loves to watch its knowledgeable shows then this app is just for you. The app comes complete with thousands of clips, and selected full episodes of the shows that are available for streaming like Deadliest Catch, Gold Rush, MythBusters, and more! With its 'Favorite' section, you can easily pin your favorite shows and videos. Plain but a ready-to-serve mobile app, the app takes the hassle out by eliminating the sign-in process in order to watch full episodes. Plus, it is also free from those annoying commercial breaks to provide a consisting TV watching experience. The Fox Now app is another free Android TV app for watching your favorite Fox shows live. It's a friendly app which is praised for its striking, Pinterest-style feed shows including Bones, Brooklyn Nine-Nine,Glee, Hell's Kitchen and more without demanding any cable and satellite subscription. And that's all! Hopefully, our collection of best Android TV apps let you enjoy your most-liked TV shows and movies on the go. Juana Steves is a Android programmer for Xicom Technologies, where you can outsource Android app development services. You can also get in touch with her so as to opt to Hire Android Programmers for premium quality services.